Jehovah the existing One, the One True God, the God who brought you through many previous battles, trials and troubles, is speaking. He is reminding the people of who He is. He is reminding them that He once before helped them conquer the Amorites. He is reminding them to not fear those enemies and little gods, because He, their God is with them and for them. He is their strength, protection and provision in the present day as He was in the past days. Yet….the people do not listen, nor obey His voice. Is the LORD speaking to you today? 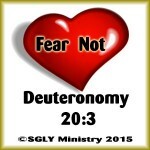 Is He telling you to “fear not” ? If so, listen to His voice, believe Him and obey whatever He is telling you to do. 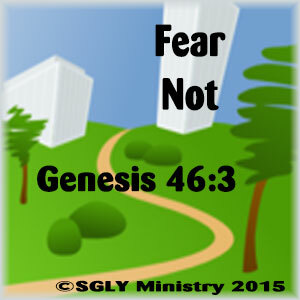 Memorize this verse as a reminder to “fear not” for your God is always with you. Blessings to you as you memorize His word. Once again the LORD is saying “Fear not”. First, He was telling Moses to tell the people of Israel, then He was telling Moses to tell Joshua, and now He is telling Joshua Himself. Joshua is now in charge, Moses is gone and Joshua is the new leader of Israel. He led the people across the Jordan River. He led them to Jericho where God caused the walls to fall down and the Israelites o conquered it. However, now, Joshua is troubled and greatly upset. He is in fear and is in dismay because his army has lost a battle, one which he thought they should have won and he is questioning God as to why. God tells him it is because some of the Israelites have been disobedient. They have sinned against God by taking things that God had forbid them to take. Joshua did not know this, but God knew, and God had not been with them when they went into battle because of it—so they lost. Now, God is telling Joshua to find the ones who stole the goods and punish them and destroy the forbidden goods. 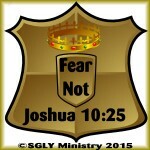 Then, God will once again be with Israel and Joshua will lead them into victory against the enemies. There is a lesson to learn here. It is obedience. God loves us but he requires obedience. As a just Father he will discipline those who disobey Him. Just as our parents love us, they also expect us to be obedient to them, otherwise we have to face consequences. God will never forsake His children, but He will discipline them for their own good, just as our parents would do. Let’s think upon this and be obedient out of love and reverencere to God. For He is with us and He says “Fear Not” to us as well. He will lead us to victory if we listen to Him and do what He says. 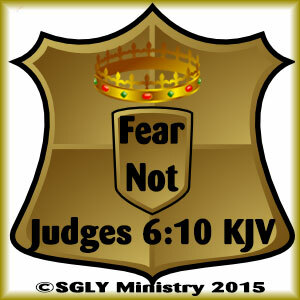 Memorize this verse as a reminder to “Fear Not” and neither be dismayed. Blessings to you daily as you memorize His word. This week’s verse is very similar to last week’s. Last week Moses was speaking to all of Israel before they were to cross the Jordan River. Here, in this verse, Moses is speaking to Joshua, who he has appointed to be the new leader of Israel. Joshua will be the one to lead the people across the River. Joshua has big shoes to fill as he is replacing Moses as leader. Joshua at this point is probably getting a bit fearful, perhaps doubting his ability, and Moses sensing this, encourages him. 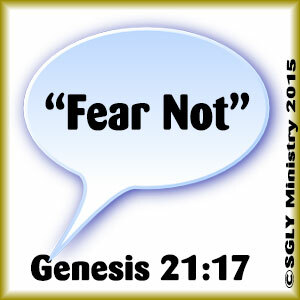 Moses personally calls Joshua out and reminds him in front of all Israel that he is to “Fear Not” for the LORD (Jehovah=the Supreme God) will be going before him. 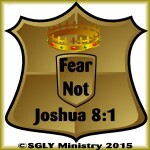 In essence Moses is saying” “Don’t worry or be afraid Joshua. You can do this because the LORD is going before you into that River. The LORD (Jehovah) will be with you every step of the way. Believers, are we not all leaders in some way? Are we not supposed to lead others to the LORD? Are we not supposed to encourage our brothers and sisters in Christ? Think about it. Memorize this verse and use it to encourage yourself and to perhaps encourage other leaders that you know. Yes, the LORD is always with us. We need not fear new horizons, for He will go before us to show us the way. Let’s not fear, nor doubt. We can trust Him. This week’s verse is so uplifting and encouraging! Moses is speaking to Israel just before they are to cross the Jordan River. At this time they are feeling fearful because they are about to cross a river, go into a new land where they might face hardships, challenges and enemies, plus their wonderful leader, Moses, who has been leading them for many years, will not be going with them for God has chosen Joshua to be their leader. They are facing a lot of changes and unknown circumstances. Why was Moses telling them this? He was reminding them of one important thing that they needed to never forget! 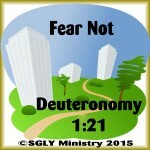 That the LORD=Jehovah = the existing One, the Supreme God, the One True God, Elohiym, is your God. This LORD God goes with you, He walks with you. As you depart He comes alongside you. He proceeds with you. As you move, He moves. He will not go away from you. He will not abandon you. He will not leave you alone. So don’t be faint or feeble. Don’t become dishearted or worry or doubt. He will hold you up. He will not fail and therefore, you will not fail. As long as you walk with Him you will be safe and you will succeed! What a great message for us today! Believers, this same LORD God is also our God. He has not changed. As He did for Israel He will do for us. Memorize this verse and claim it for yourself! 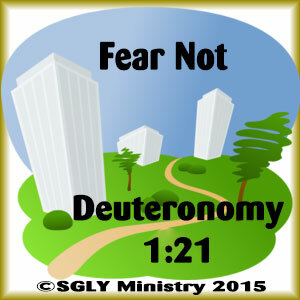 Do not fear nor be afraid as He leads and you walk with Him daily. Moses was speaking to the Israelites, refreshing their memories of when he had told them what the LORD God had said for them to do. He was reminding them that the LORD God had told them to go up and possess the land because He, the LORD God, had set it up for them to be able to take it. What is the LORD God telling you to do today? What is He setting before you? 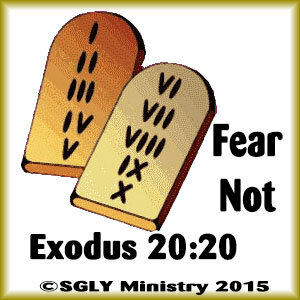 Is He telling you to go forth and fear not? Is He saying do not be discouraged ? If so, do not be like the Israelites. Listen to Him, trust Him and obey Him. Go forth believing in Him and do not fear. In verses previous to this verse we see that God (Elohiym–the One True God–Jehovah) is speaking out His Ten Commandments to His people. After He speaks, the people see and hear signs of His presence. The people were afraid. They had fear–but not the kind of fear that they should have had. They had earthly, fleshly fear. They needed to have a godly fear. 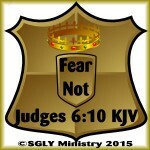 A fear of God which was reverent fear. A healthy respect for God, reverencing Him for who He was. Showing honor to Him for His great power and authority. Moses corrected them. He told them to “Fear Not” which meant do not be afraid in your flesh that God is come to harm you, but realize that He is speaking these things to you for your own good. He wants to test you in these things so you will not sin, for He loves you and wants the best for you. Let’s learn from this verse today. Let’s memorize this verse as a reminder to ourselves that we should have a healthy fear of God, which is a reverence for Him, respect for Him, awe for Him. We should regard His authority and honor who He is. We should remind ourselves that He loves us and wants the best for us, therefore whatever He commands us to do is for our good. 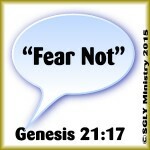 Let’s realize how to “Fear Not” and do it daily. 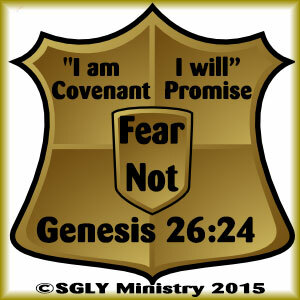 I am El (Mighty God) the God (Elohiym–the One True God, Jehovah) fear not. 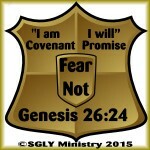 that he should not fear because He, God, is the same God that Jacob’s father, Isaac knew, loved, trusted and followed. God was in a sense telling Jacob to recall how He, God, had always been there for Jacob and his father Isaac in the past and that he would always be there now for Jacob. God was telling Jacob where to go in the present time–He was giving Jacob direction for his life. God was telling Jacob what He was going to do for him in the future. God was promising Jacob the same thing He had promised his father, Isaac. God was showing Jacob He was there for him in the present just as He had been in the past and would be in the future. 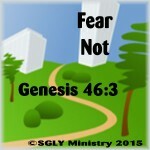 Jacob should not fear, but just trust God. I feel this verse has a lot to teach us today. I feel God could also be speaking this to us believers as well. He is saying “Trust Me” I am Mighty God, the One True God, Jehovah, have no fear, I will direct your paths, I will show you where to go. I have plans for you for the future and they are good plans. Let’s memorize this verse and repeat it to ourselves daily as a reminder that God is with us, just as He was with Jacob. (perceived, regarded, listened, understood) the voice of Hagar’s child. Second–That God didn’t just hear, He responded. He sent His angel to communicate with Hagar, the lad’s mother. God wanted to let Hagar know that He knew exactly where she and her son were and that she should not be afraid for God was going to help. Believers, isn’t this a wonderful verse for us to memorize and reflect upon? Don’t you think that each one of us could substitute our name in place of Hagar’s name in this verse? Don’t you agree that God would also tell us that He hears our cries just as He heard the lad’s cries? And that He knows just where we are and that we should not be afraid for He will help us? For, we are His children. In Malachi 3:6 God says: “For I am the LORD, I change not;”—since God doesn’t change, should we not expect that He would also hear and see us today? “Fear Not”—Our God–Elohiym says. Are we hearing Him? Blessings to you as you memorize His word and walk and talk with Him daily.